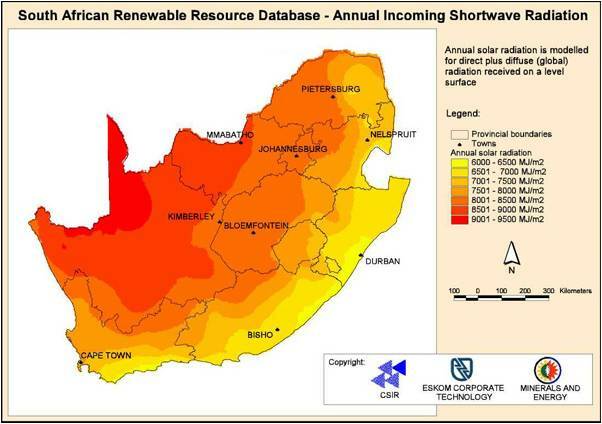 As is the case with solar water heating for household hot water, South Africa's geographical location is ideally suited to using solar energy to heat up our swimming pools. Here we experience long hot summers and relatively mild winters, so installing a solar pool heating system can extend your swimming season both in the lead up to summer and as we move from summer into the cooler months. While solar systems for geyser applications are designed to heat a relatively small volume of water by a high temperature, pool solar systems are designed to heat a much larger volume of water by a smaller amount. In mid-summer a correctly sized pool solar heating system should be able push the pool temperature up by about 10oC to give a comfortable swimming experience. Using solar energy to heat your swimming pool is the most energy efficient method of heating available on the market. Heat pumps can also be utilized but in today's world of spiralling electricity costs this option can quickly become a very expensive way of enjoying a heated swimming pool. From a technical viewpoint, pool solar heating systems are much simpler in design than those used in heating household water and both imported and locally manufactured systems are currently available on the South African market. Below you can find more detail on how solar pool heating systems function or you can browse to our Products page to have a look at the two, high quality systems that we have on offer. The two main components in a solar pool heating system are the solar panels, typically located on the roof, and the swimming pool pump which pumps the pool water up to the panels and returns the heated water back to the pool. Each panel consists of a series of riser tubes connected top and bottom to two header pipes. The size of the swimming pool will determine the number of panels required to sufficiently heat the pool. A manually operated bypass valve is also connected to the system, this enables the homeowner to regulate the pool temperature by adjusting the volume of water that flows up to the solar panels. In frost prone areas a vacuum breaker is also added to the system to facilitate easy draining of the system in the winter months where it's preferable to empty the panels of water to avoid damage from freezing. The diagram opposite shows the configuration of a standard solar pool heating system as described above.